KickStarter Campaign: Musician Brad Carter Fighting To Record an Album Before It’s Too Late! 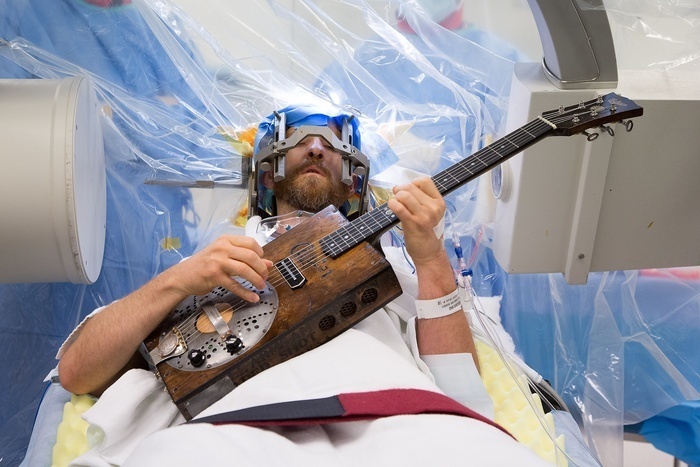 Brad Shown Playing Guitar During Recent Brain Surgery, Which, Sadly, Failed to Halt the Progression of His Disease. Please visit Brad’s Kickstarter page at This Link to watch Brad’s very moivng video, to get more information on Brad and to donate to his very deserving campaign! Thank You!